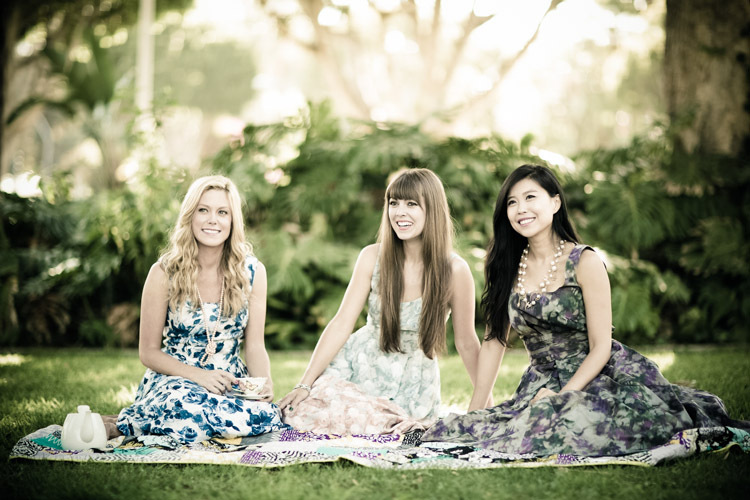 I'm refraining from making Charlie's Angels references about my recent Jigsaw London summer afternoon "tea party" photo shoot because that would take away from the quaint allure of spending a picturesque afternoon in Beverly Hills posing in floral perfection with two beautiful ladies. 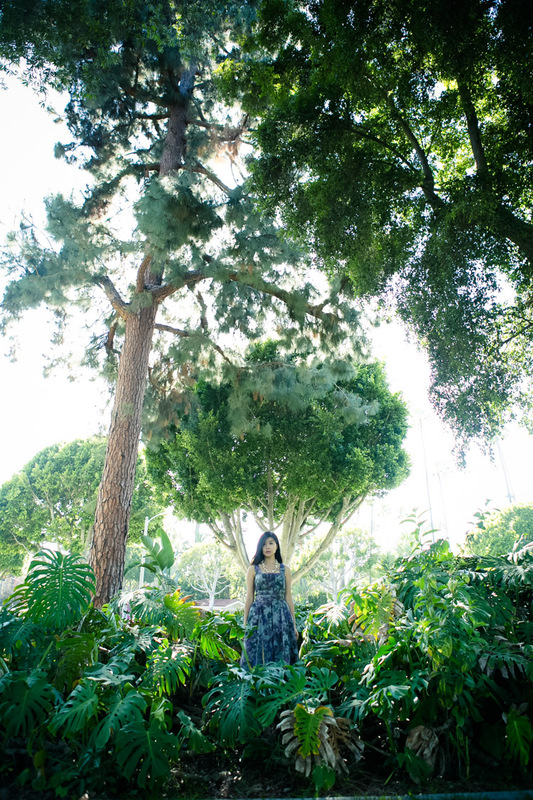 We shot at a park, an urban oasis centered in the middle of one of the busiest intersections in the city. Muffled sounds of life's hustle and bustle (and mufflers) surrounded us but didn't consume or distract us as we focused on the task at hand-playing with paper windmills, pouring air from teapots, and fluffing our dresses. It was one of the most relaxing shoots I've ever been on. The lovely afternoon made me realize I don't need to travel thousands of miles or spend a gazillion dollars to enjoy an idyllic escape from the chaos of life. The right people, the right setting, and a fabulous dress will most certainly make for a great escape. Special thanks to Shari for the amazing photos! Wow,those are some amazing dresses! all of you girls look great!!! stylish, feminine, romantic... perfect!!! Hi pretty girl!! I love so much your dress!! is so beautiful!! Kisses!! 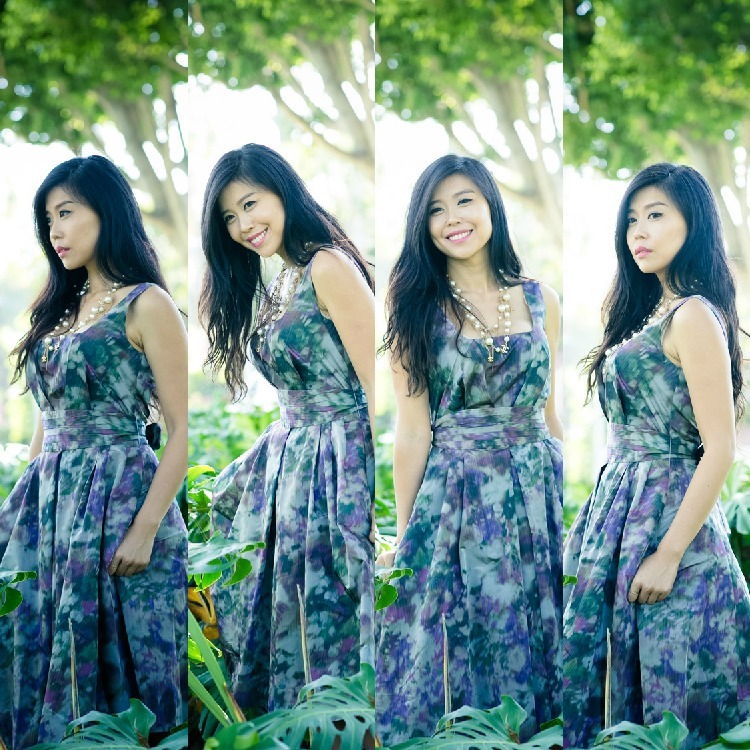 wow, love this post, lovely dresses, ladies, pics!!! really sweet! Very nice, you are beautifull girls! Thanks to your visit on my blog. Do you want to follow each others? loves the looks and the pics. Great party and very nice pictures, love it your dress, kisses. Pretty and vintage dress, i love it! Kisses for you and thanks for your visit! Great photos!! You all look stunning!! your dresses are amazing, you all look so lovely!! beautiful honey! love your dress!